How to get a UX job with a UX designer cover letter? The best tips for you to write a great cover letter. Also, there are good cover letter samples for you. Which part do you hate most when applying for a UX designer job? Is it creating a UX designer resume or building an excellent portfolio? Is it the phone screening interview or answering the interview questions? If you have ever written a UX designer cover letter, you should know the answer. Even experienced UX designers, they may still have difficulty writing a proper UX cover letter. It’s not easy to put all your whole design skills and experience into a concise, short passage. Moreover, you need to show your passion for the role you are applying for in your words. So what are some tips for writing a UX cover letter that will get you an interview? What are some of the important things that should be mentioned? What is the right way to do this? Do employers even read cover letters? Does a cover letter really make a difference? What is the right format? Do I really need to create one, or is this just a leftover artifact for job hunting? In this article, I will answer all your questions and guide you step to step to write a proper UX cover letter. What actually is a UX designer cover letter? The cover letter is a valuable supplement that can help make your skills and experience stand out. It is a way to explain why you are passionate about the role you are applying for and can potentially help recruiters decide on who to move forward to the interview stage. After all, a recruiter wants to choose candidates who have the skills and interest in pursuing the job as this can result in less turnover and potentially less time to go through numerous candidates. What are the differences between a cover letter and a cover page? You may hear the term cover page a lot in the workplace, but do not be fooled by its name. 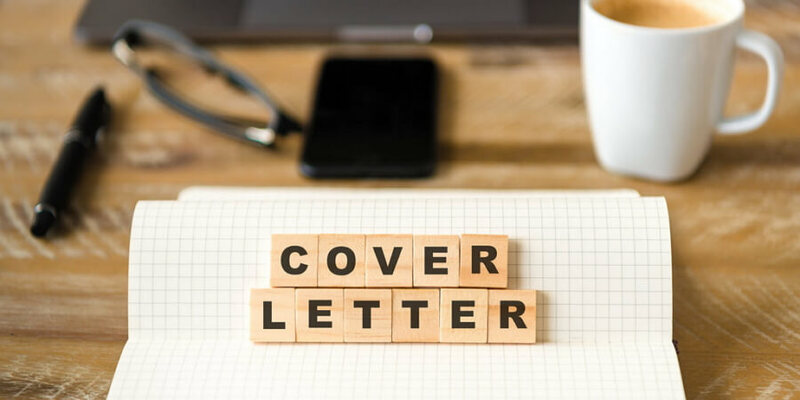 A cover letter is typically submitted alongside a resume by job seekers applying for a new position, while cover pages, also commonly referred to as ‘title pages,’ are used in a wide range of projects, including business plans/proposals, professional reports, white papers, albums, etc. There is another term that may be confusing; namely cover sheet, which is a document you send along with a fax to provide additional information to the recipient. Why you need a UX designer cover letter? Do not waste your time asking if hiring managers read cover letters. The answers are yes, unless the employer has stated in the job application that they do not need one. For designers, the main focus should be on portfolio and real-life experience, but a cover letter can make or break two qualified candidates simply because one simply showed more interest for the position through a letter vs a candidate with no letter. Most companies (especially big ones) may not have time to read everyone’s cover letters, but when they do, it is your chance to convey your interest as well as how and why you would be the perfect fit for them. “I believe a unique well-written cover letter is more important than ever to make you stand out in a crowd of applicants. How to create a UX designer cover letter? Here are a few tips that have helped me craft compelling cover letters and have gotten the attention of huge companies. I want to share with you a complete step-by-step guide to writing a UX cover letter that helps gets you the interview. The Product Designer role at Teapots, Inc. seems like it would be an excellent match for my background and interests. With over 2 years in the teapot industry, I’m well-positioned to contribute X, Y, and Z skills to your team. At Recent Company, I accomplished X and Y [things that are important to you]. The business result was Z.
Additionally, your need for X skill matches my background in Y. Here’s an example. I’m interested to learn more about contributing to Teapots, Inc, and I’m excited to speak with you. This is a good example actually. What’s special in this one? Let’s find out. There are only 103 words in this cover letter. But they all run together to show the core information in a clear way. Here I present 3 principles for cover letter writings. 1) Keep it organized with clear logic. Never make it looks like a mess. Just write the core points, and keep them in good check. The general format is: explain why you chose this job at this company, why you are a suitable candidate and the contacts. These 3 things are essential. 2) Keep it short. Your cover letter should not be too long. Make sure your cover letter is short and focused. Keep the length of your cover letter to one-page maximum. 3) Keep it personalized. Your cover letter is a window that many hiring managers use to measure the personality of applicants. You can personalize some of your own words, but be careful not to be too casual, or too intimate. It should be both characteristic and professional. Make the greeting as personal as you can. Do your research find out what the name of the hiring manager of that company that you are applying to. You’ll make a stronger impact with a personalized address like “Dear Jane” in the above example than with generic greetings like “To whom it may concern” or “Dear Sir or Madam”. The hiring manager already knows that you’re looking for a job, he or she doesn’t need to hear about it again. You need to figure out a more appealing opening. For example, you may start by stating that you are a happy user of their product, or you have internship experience with the company from your school time. If you do not have such experience, just be honest. You can make use of your unique value proposition to win. “At Recent Company, I accomplished X and Y [things that are important to you]. The business result was Z. In the next part, you need be really careful. Put yourself in the position of the hiring manager and think, what does my company need? How can this applicant help us out? If you do so, you’ll know what you need to prove. First, your skills, second, your work experience, third, how can you use your skills to contribute to the company you are seeking a job with. I’m excited to speak with you soon. Looking forward to your reply sincerely. You can learn more about my work experience and education by viewing my attached resume and portfolio. I’d love to apply my expertise in design and experience collaborating within product teams to help you build your product. Do not use one cover letter template for all job postings, you should tailor each cover to the job position that you applying to. Check spelling and grammar. You can ask one or two friends to help you. Use the same fonts, and colors to keep your resume and portfolio consistent with your cover letter. Do not use unprofessional fonts such as comic sans, handwritten, or cute fonts. Keep your personal site and Linkedin or Facebook profile up to date. Focus on how you can bring value to the company, not how you can make progress here. UI designers are often confused with UX designers because they work really closely with User Experience (UX) Designers. UI designers need to work out the layout of a product and make sure that each page and every step a user will interact with is well designed and meets the vision of the UX designers. Moreover, they may need a thorough understanding of front-end development as well as some coding skills. So the job requirements may vary. User interface Design for user-centric products. Work with developers, UX designers, and copywriters. There is a UI Designer cover letter sample for your inspiration. the web designer is another promising job position related to UX designer. Web designers are mainly focused on web page designs for companies. Usually, web designers should have a good command of graphic design software, prototype design tools, coding, etc. Use of web development tools and software like Mockplus. There is a Web Designer cover letter sample for your inspiration.